Per Entry rate for 21 years old and above is $5. Below 21 years old is $4 per entry. 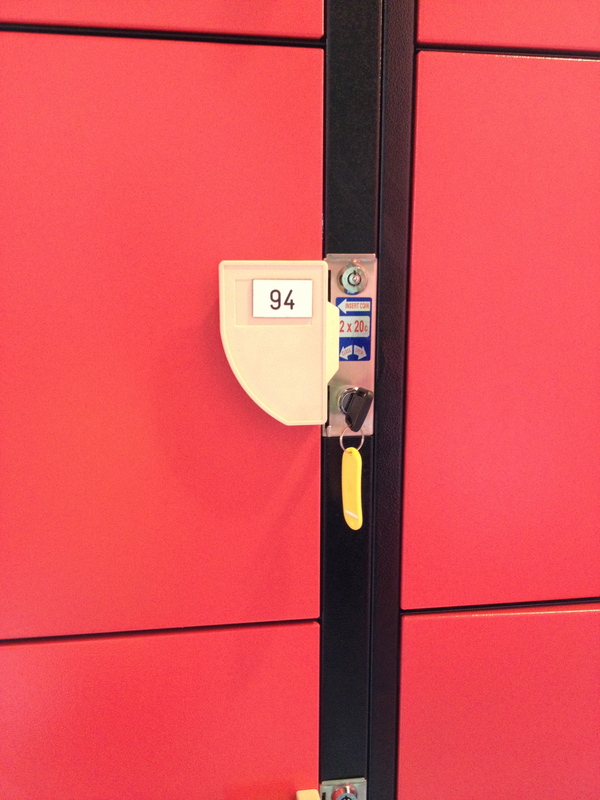 The locker require you to pay $0.40 to use, a lot of people just place their item into the locker without paying (no lock) which is not very safe in my opinion. So i did paid for it! Next is the gym does not provide towel! So please remember to bring your own towel! 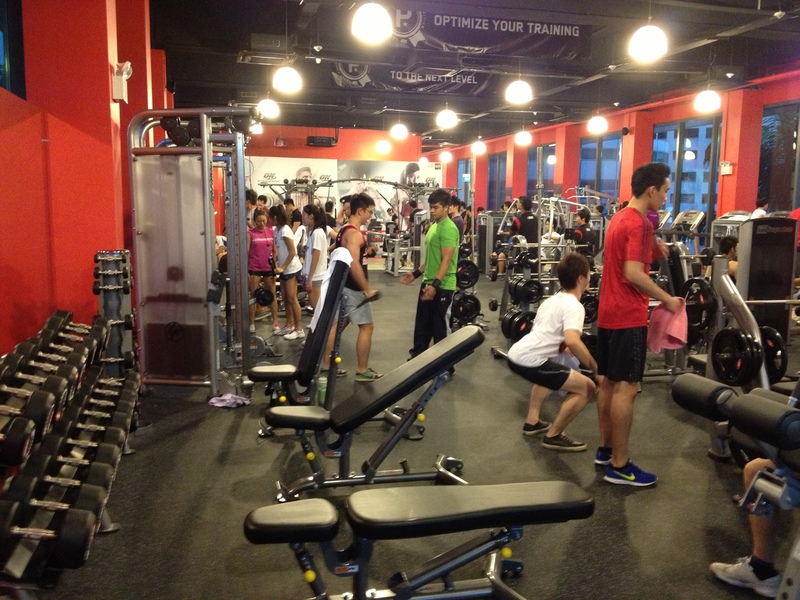 This is the first half of the gym! Best part about this gym, 4 sets of dumbbells rack! Lots of Benches! Here we see a rare bar! 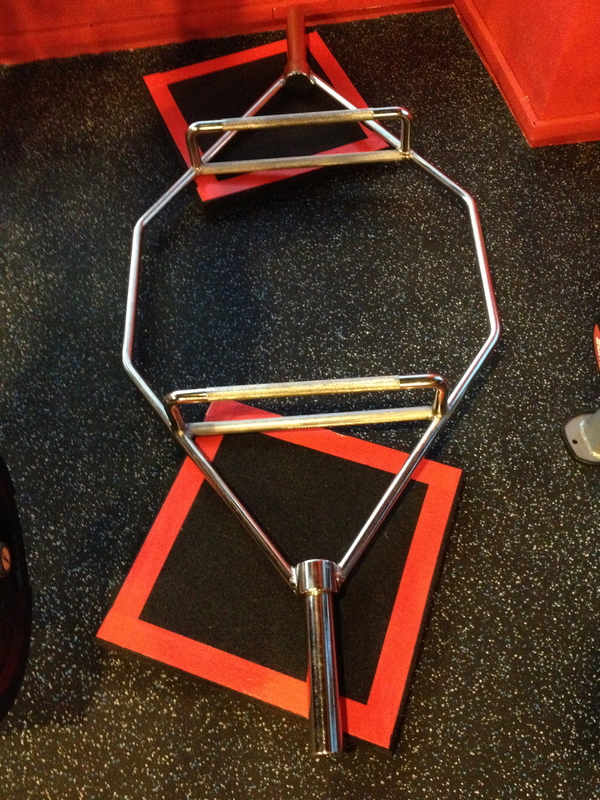 Good for doing shrugs and deadlift! 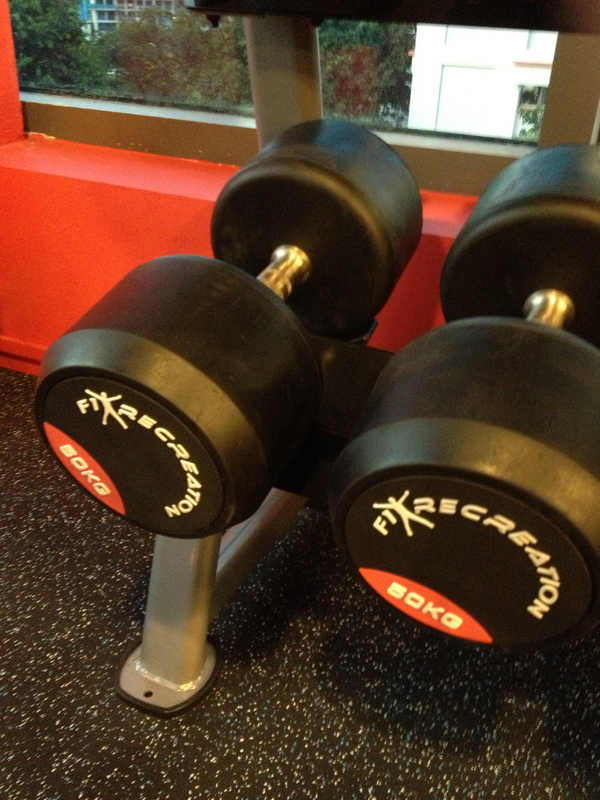 Maximum weight for dumbbell is 50kg! 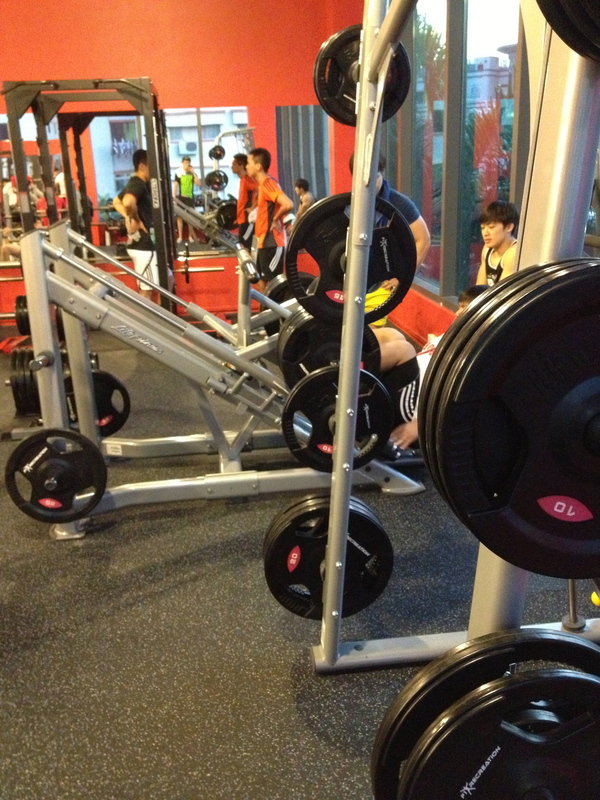 Leg presses and smith machine, one set each! 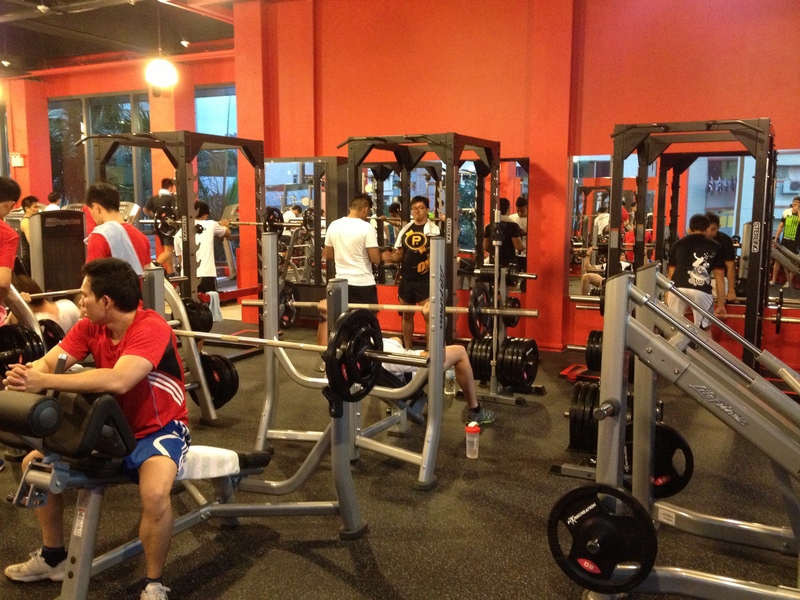 They have the rear delts flyes machine and the seated calf raises as well! 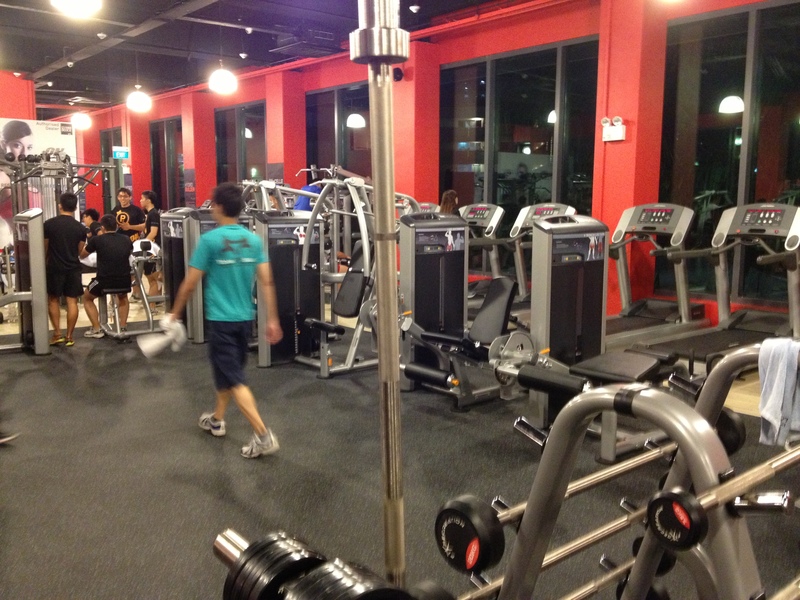 Gymm Boxx XXL in my opinion is a great gym to go to! 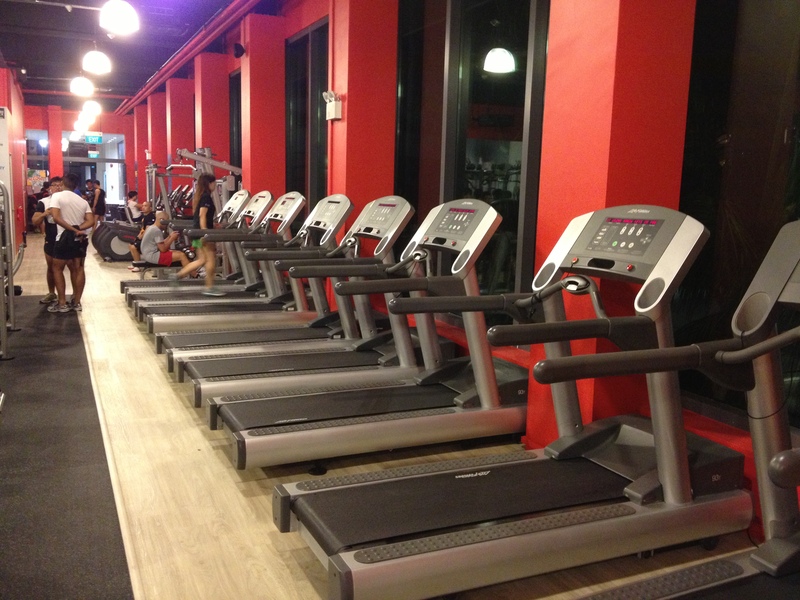 Located at Bishan CC which is 5min away from the Bishan MRT station. Memebership fee is $165 for 3 months with a one time membership fee of $30! Price is still quite reasonable but, towel and locker is the main issue. 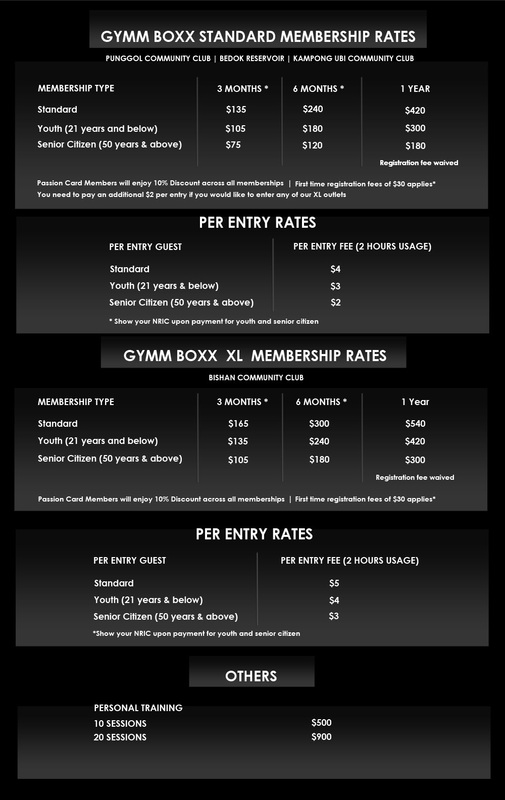 In my opinion it is a gym with fantastic equipment but if you want quality service it will be better to pay the extra $30 to join True Fitness/California/Fitness First. Crowd here is also younger, ranging from 16 to 24. 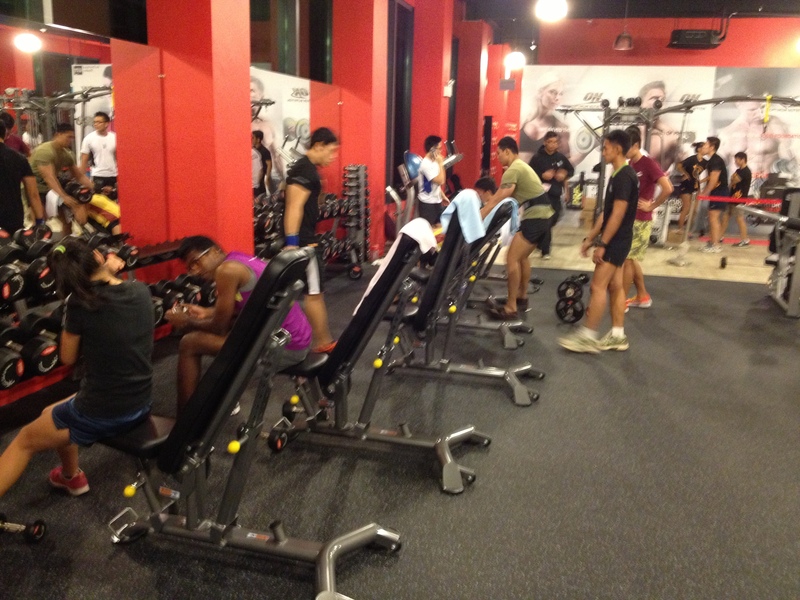 Thanks for reading, for more information do check out Gymm Boxx website here. Nice detailed pictures. Overally good review. But I think, you got the spelling wrong, its Gymm Boxx. 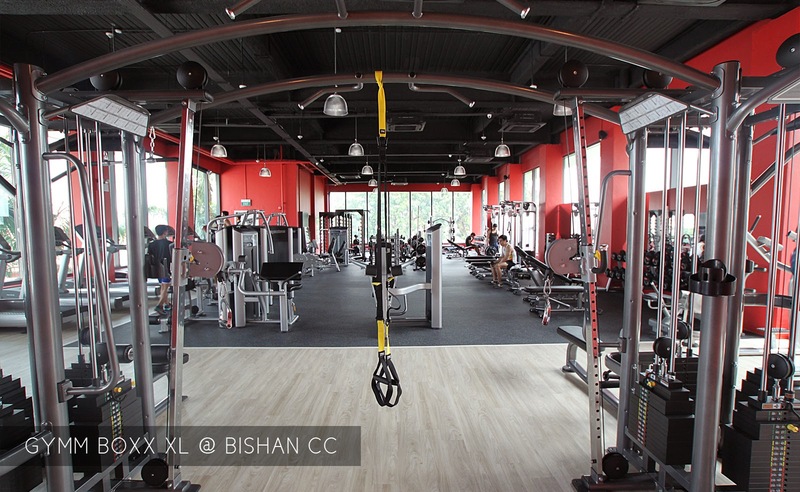 And for the Bishan outlet, it is Gymm Boxx XL. Once again, great job. Keep it up. thanks alot for the correction! have fun working out! 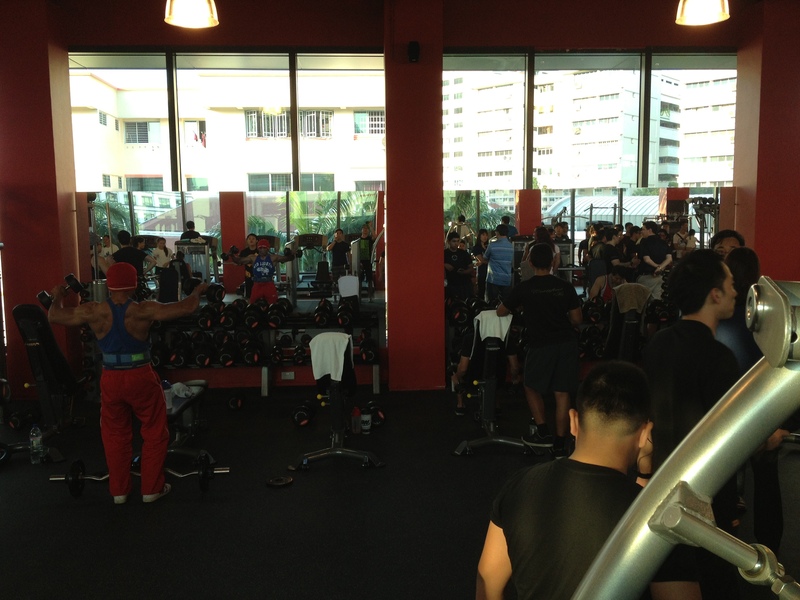 Cant even grunt there…..damn….go to a library better…what the hell they think a gym is? A freaking library??!!…. Previous Previous post: Are you a Skinny Fat? 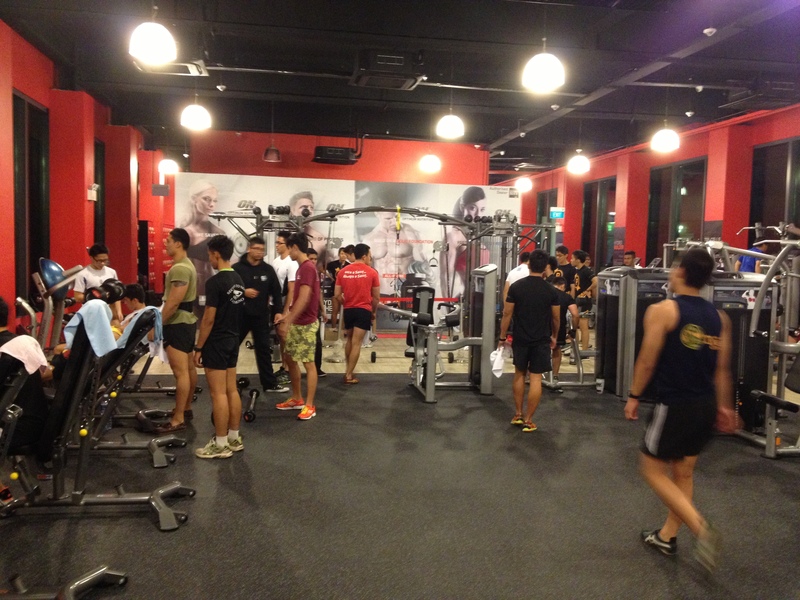 Next Next post: CSC Run By the Bay 2013!